I was beside myself with excitement earlier this week when I received an email from the team at the Health Bloggers Community to tell me that I have been shortlisted in the That Protein and HBC Health Blog Awards as Best Fitness Blogger! 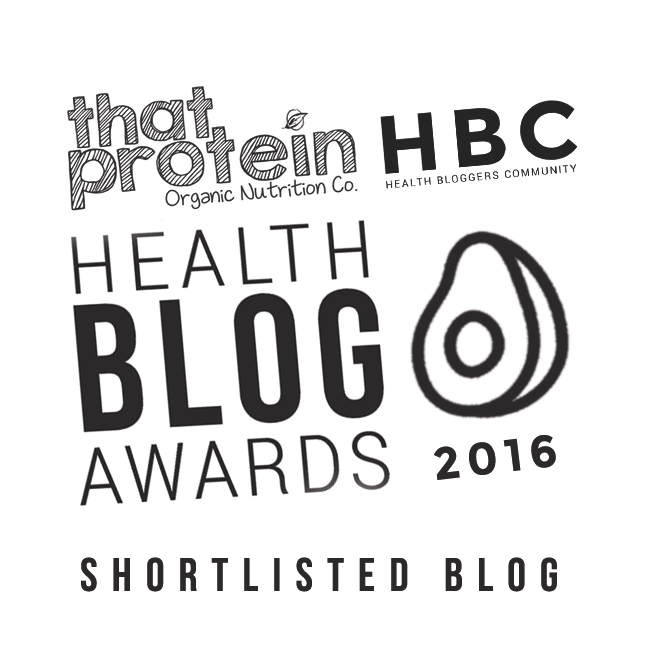 To have come so far and be so recognised in such a short space of time (especially when Blogging really is a passion project of mine and not my main job or source of income) is such an honour, especially to be nominated alongside some other fantastic Fitness Bloggers, all of whom are worthy winners. I can only thank those of you that have been a part of this journey with me, both those who have been reading since the start, and those of you who are new to the world of Wildcat Fitness, without my readers I wouldn’t be here…. but I still need to ask you one more small favour! The public vote counts for 30% on the mark so I would absolutely LOVE it if you guys would be able to spare just a moment to vote for me in the Best Fitness Blog Category, you can do so here. If you could spread the word and ask your fellow healthy friends and family to vote for me too that would be amazing! Voting closes on 31st May, with the winners announced at an Awards Ceremony on 17th June – and as much as I genuinely mean it when I say any of the Bloggers in my category would be well deserving winners, of course it would mean the world to me to take the trophy on the night! Thank you again for your support, your kind words, your comments, and indeed in advance for your votes. I chose to work in the Fitness industry to help inspire, support and motivate others to help change their lives and reach their fitness goals, just like I did. After becoming a Personal Trainer and Fitness Instructor, Fitness Blogging seemed like the next natural step to reach an even wider audience to help spread the word and offer advice on creating the best version of you through fitness, health and nutrition. To even inspire one person to make changes to their health and wellbeing would be a success in my eyes, but to have taken this message to such a wide audience and be able to show people that with the right guidance anything is possible….. that opportunity just blows my mind. Thank you so much for allowing me to do just that.